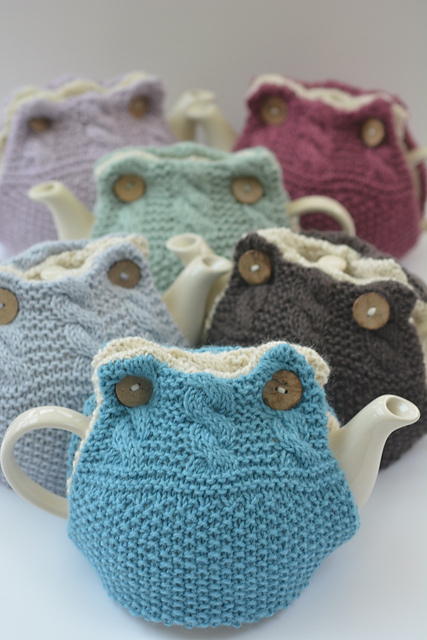 More than ten years ago now, a friend saw my knitted bags and said "Ooh, they're lovely, you could sell those." This was the beginning of my knitted adventure. Not too long afterwards, with my Uncle's help, I set up my website selling ready made hand knits, I had no idea that four years later in 2010 I would become a John Lewis partner, providing work for UK hand knitters across the country, and bringing Peruvian baby alpaca yarn to the High Street. One thing led to another and before too long I launched my own branded yarn, sourced directly from Peru. The first two years were brilliant. The yarns were picked up by all the major UK knitting magazines, several prominent UK designers and my yarns and designs were sold in 12 knitting shops across the UK, including Loop, Britain's most famous knitting shop. During 2014, I was lucky enough to be commissioned to write a knitting book, which was an absolute dream come true. Writing Anyone Can Knit was the best fun I have had in my entire life, and you can buy the book from many online and brick bookstores across the UK, the US and now some countries in the rest of the world. Anyone Can Knit established my reputation as a leading UK hand knit designer. I am no longer selling yarns, but if you are interested in knitting up some of my designs, you can find lots of free patterns on my blog, and you can buy many of my knitting pattern designs on raverly. You can also buy my designs on FindMeKnitting. Please keep in touch on Facebook, Pinterest page and instagram page, where I share knitting stories and ideas you might be interested in and to show you my knitting projects.